Heartbroken and alone, Boston art curator Sarah West is grieving the recent deaths of her parents and the end of her marriage. Ultrasensible by nature, she's determined to stay the course to get her life back on track. But fate has something else in mind. While cleaning out her father's closet, she finds a letter from the famous Parisian courtesan Marthe de Florian, dated 1895. The subject? Sarah's great-great-aunt Louisa's death. Legend has it Louisa committed suicide but this letter implies there's more to that story. Kaylie Flynn was luckier than most children left to the Texas foster care system, blessed with a foster mother who taught her the comfort of home…and the healing power of baking the perfect brownie. 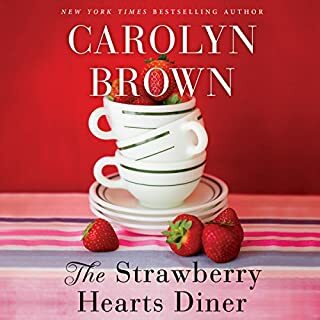 Now, Kaylie has journeyed back to Hope Springs to open a café in the charming Victorian she once shared with her foster family - and to finally find answers about her past and where she came from. Yet Kaylie’s carefully laid plans quickly become complicated. 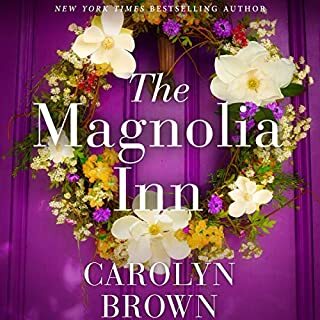 The house needs far more work than she realized, and Tennessee Keller, the carpenter Kaylie hires, stirs up feelings she hasn’t felt in a long while. 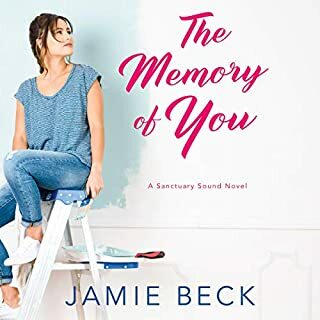 When an unexpected crisis threatens to unravel her dreams, Kaylie seems to have all the ingredients for a perfect disaster - or quite possibly the perfect love. ©2013 Alison Kent (P)2013 Brilliance Audio, Inc. I want to call this a sweet romance (and it is!) but there are enough conflicts, obstacles, and hardships to keep it from being too sweeeeeet. 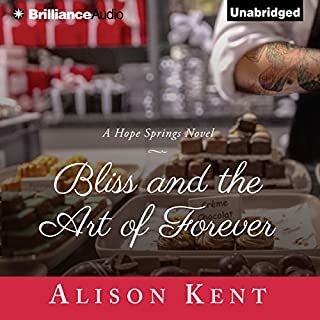 I love that I can always count on Alison Kent for real grown up characters who behave like adults -- flawed adults who struggle to work it out and do the right thing. Narrator Natalie Ross is terrific as usual. It would be terrific to hear Kent's steamy Dalton Gang trilogy in audio. A mishmash of stress, worry, and confused story. I have noooo idea who might want to read/listen to this. It's a disorganized blur of insecurity and confusion. I enjoy all sorts of books, in numerous genres. I like serious books, funny books, educational, and certainly casual books, including fluffy romance or other light reads but this book tries to go in too many conflicting directions. The narrator is very good though, so no need to blame Ms Ross for it. Good voice, good clear expression etc but all her efforts can't save this story. I will watch for her in other books, but never again with this author! Big disappointment. 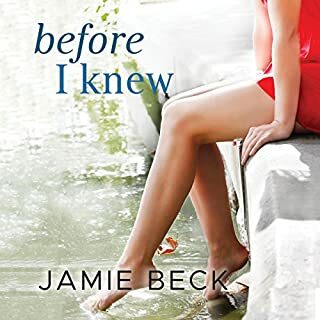 Kaylie Flynn has returned home to Hope Springs, Texas, where she lived as a foster child from age ten to age eighteen, in an unusually fortunate foster experience. Having built a successful career and a nice nestegg as baker, she has now bought the old home of her late and much-loved foster parents, Winton and May Wise, to be not only her home, but her new business, the Two Owls Cafe, serving lunch from 10am to 2pm. She also has another mission, finding out what happened to her birth parents, and why they never came back to get her after the awful events that landed her in foster care. Hope Springs is a charming town, and the characters are likable and interesting. Having spent ten years in Austin, Kaylie is sometimes surprised at how many people remember her and her foster parents, here in small-town Hope Springs. They also remember her brownies--then and now, her method of dealing with emotional crises is to bake brownies, and then find people to eat them before she can eat them all. But Kaylie has her own memories, some clear, others buried, and she wants to find out her parents didn't want her. Like many children, she blamed herself for the upheaval of her childhood, and as an adult hasn't shed those feelings. Old neighbors and classmates, as well as people she didn't meet as a child, become new friends. The hunky contractor the old classmate who became the realtor who sold her the Wise home recommended, Tennessee Keller, is skilled, perceptive of her needs in the renovation, and, oh, yes, very attractive personally as well as physically. Luna Meadows, local maker of a stunningly successful line of hand-weaved wool scarves, becomes a good friend--but turns out to be sitting on a potentially explosive secret. Tenn Keller has his own secrets. Kaylie herself is keeping secrets from her new friends as well as from herself. Of course this all has to explode over all of them, and the question is whether the relationships she's built, and her new business, are strong enough to survive it. There were points at which I wanted to give Kaylie, Tenn, Luna, and others whacks upside the head with a clue-by-four, as I felt they were being more obtuse than the reasonable demands of the plot required, but really, I liked them all, and I'm not fond of violence. Recommended with the above-noted reservation. Would you try another book from Alison Kent and/or Natalie Ross? What could Alison Kent have done to make this a more enjoyable book for you? The characters are unbelievable. Way too much introspection. The heroine has just met the hero and within a day decided he wanted to 'protect her' and that her future plans were in jeopardy. I disliked the inner voice of the heroine a lot. Constant, impossible, unrealistic thoughts. I am astounded to see the other reviews that are so good and went back, trying to listen to more of the book, but it was impossible. I'd have to listen to another performance by the narrator to see if she was part of the problem. I doubt it. Gorgeous cover, interesting plot. I love books on chefs and people opening little cafe's in small towns. I listen to Audiobooks all the time and am not fussy. So sorry I bought the ebook too! I listened to the audio version of this book and really liked it. There is more depth and more intense topics than it seems most people were expecting, going by what this author apparently usually writes. I had no preconceptions and maybe that's why it's a 5 star book for me. It is definitely more Chick Lit (or Women's Literature, if you prefer) than straight up romance. The characters have issues. Deep, dark issues with very serious topics involved. Having said that, I loved the relationship between the hero and the heroine. There's not a whole lot of trust towards other people for either of them, but there is a definite something between them that allows them to tell each other things from their past that they don't usually discuss. It could be the push towards forgiveness that they both need. The development of the relationship between Kaylie and Ten (Tennessee) may have been fairly slow, but we're dealing with two fairly messed up people here. It's only right that they are cautious. Kaylie is finally at a good place in her life and is surrounded by people that care about her. Then everything seems to go to hel_ in a hand basket. Will it be too much for her or can her new happiness be saved? I really enjoyed the narration by Natalie Ross as well as the story by Kent. I'll be looking for more by both. I was given this audiobook and the comments are honest and my own. 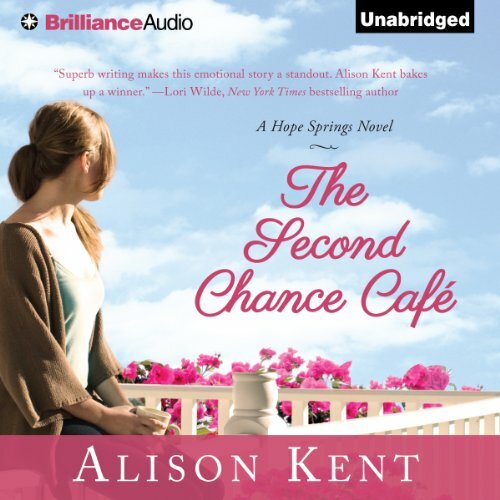 What made the experience of listening to The Second Chance Café the most enjoyable? This author is not for me. You must like authors: Debbie MacComber, Kim Law, and Julie London to join the other reviewers who liked this book. It is a matter of these author's style and content. If you like more humor, adventure, and a big smile try: Julie James, Jill Shelves, or Rachel Gibson. Nothing wrong with the content as this is a series and author writes to promote that sequence. Author has good potential, but joins the ranks of the authors noted. I purchased this author due to Ms Ross reading it. As always, she did a fab job. Note: Must use new 1.25x speed to get what author intended. If you like this story or author, then this series is good. Author has good vocabulary, and touches a bit like Nora Roberts writing, which can be too wordy or descriptive. Great story. I enjoyed getting to know these characters. Well read and we'll written. I do recommend reading this one. This is a 'stay up all night to finish it" book! If you could sum up The Second Chance Café in three words, what would they be? What was one of the most memorable moments of The Second Chance Café? What does Natalie Ross bring to the story that you wouldn’t experience if you just read the book? The final acceptance of the lost past and making the future work as a family!